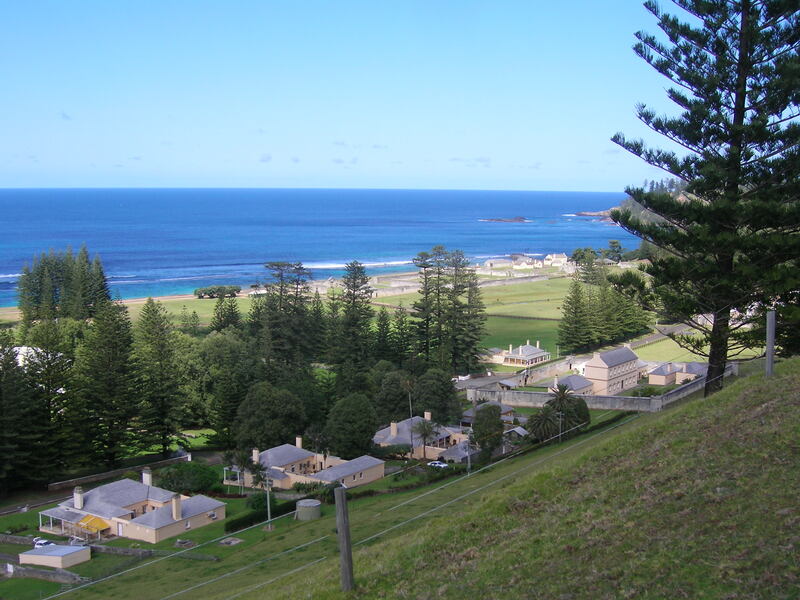 This was an Unlock The Past event held on the historic and picturesque Norfolk Island, an Australian territory in the Pacific. Australians with convict ancestry may have had an ancestor or two who were sent to either the First Settlement 1788-1814 or the Second Settlement 1825-1856 – brief outline of history here. This conference was mostly about the history associated with the First Settlement with a little bit on the Second Settlement and some overall genealogy topics. As well there was time to tour the Island in your own time, learn about the Pitcairn Islanders who occupied Norfolk after the convict settlement closed for the second time, attend a cemetery tour as well as a tour of the RSL and its New Zealand World War Two connections. So lots of history and genealogy. Cathy Dunn‘s talks all centred around the First Settlement – it’s history, land ownership, what records are available, biogs of selected people and the closing of the settlement in 1814. Max is descended from Samuel Pyers and Sarah Johnson both convicts on Norfolk Island during the first settlement before they were relocated to Tasmania when it closed. Therefore Cathy’s talks were of personal interest to us and we had been on an earlier visit to Norfolk in 2007 to celebrate the bicentenary of the relocation to Tasmania. Cathy mentioned that Historical Records of Australia and Historical Records of New South Wales were both good resources as well as the Sydney Gazette in Trove, the Mitchell Library, State Library of New South Wales and State Records New South Wales. 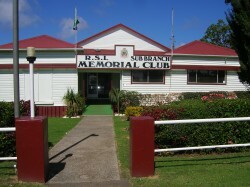 Liz McCoy gave a talk on the Second Settlement and on the history associated with the RSL, the venue for the conference. She also assisted Cathy with the cemetery tour. Liz was previously with KAHVA (Kingston and Arthur’s Vale Historic Area) and on our last visit we made a lot of use of the organisation’s resources. Alan Phillips gave a brief presentation on genealogy cruises coming up in 2015-2016 and my next one will be the Baltic genealogy cruise in July 2015 and I am also planning for the Trans Atlantic genealogy cruise in November 2015. I gave five talks – It’s Not All Online, Using Church Publications, Demolishing Brick Walls, Mining Ancestors and Online Trends in Family History. As usual my presentations are on the Resources page of my website. As it was not a large group, the Research Help Zone was more informal but that didn’t stop people asking questions and chatting with each other. There was a display of Unlock The Past publications each day and orders were taken to be sent out on our return to Australia. The RSL was open for meals and drinks or attendees could pop out at lunch time and try the many cafes close by in the main street of Burnt Pine. The venue was ideally located as I could walk down each day from my apartment although a hire car does come with the accommodation. There is no public transport on Norfolk Island hence the hire cars to get around and cows have right of way which is interesting if they are too close to the road! As with any Unlock the Past genealogy event it was all over too quickly and before we knew it we were winging our way back to the Australian mainland. A great way to end 2014 and I am looking forward to 2015 as there are some big events coming up. In March we have AFFHO Congress 2015 in Canberra (Australia’s mega genealogy event which only happens every three years), National Family History Month in August, the NSW/ACT genealogy conference in Port Macquarie in September and the History Queensland genealogy conference in Brisbane in October 2015. Plus lots of smaller seminars, workshops, talks and so on. Another great year coming up.